One of the most frequently cited "treatments" for Autism and Aspergers syndrome is the Gluten Free Diet. Gluten refers to two proteins which are found in grains such as wheat, barley and rye. Gluten gives dough a spongy texture and it's a common ingredient in bread and pizza bases. It's also used as a thickener in sauces and soups. I've been asked again about the Gluten Free diet and since I've never really talked about it here, I guess it's something that I should discuss. Take note though, I'm not a doctor and I'm not an expert on anything, except perhaps information gathering. Before acting on any self-diagnosis, be sure to consult a doctor. What is this Gluten thing? 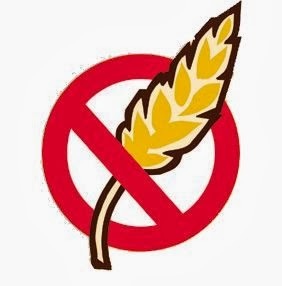 There's a chronic digestive disorder called celiac disease which causes people's bodies to "rebel against gluten" and mount an auto-immune response. This is a serious problem which can damage a person's small intestine. It affects about 1 in 123 people. There's also a harmless bloating problem associated with gluten which affects a much wider group. To help people with these issues, naturopaths often recommend a gluten free diet. In these cases it does a lot of good. Unfortunately, like many "natural" solutions, it has outgrown its target audience and is now being promoted as a solution to "everything". One of the stranger theories about autism is that it starts in the gut. The reason for this is that some studies have shown as many of 80% of children with autism having gut issues. Of course, other studies have shown no correlation at all. The studies center around the presence of bacteria belonging to the group Sutterella being much more prominent in the guts of children with autism versus those without and the fact that introducing such symptoms to rats produced "autism-like" behavior. Unfortunately, at this stage, this research is as credible as Andrew Wakefield's famous "Mercury in Immunization causes Autism" claim, which turned out to be false. What is clear however is that children with autism often have more frequent gut problems than those without. This could be due to a number of factors including picky eating, low hygiene and hereditary factors. I don't for one second believe that a given diet "causes" autism but I have no problem believing that eating habits can affect how your gut feels. It's also clear that anyone who has a gut disorder will find that it affects their behavior. Constipated or loose children are generally more irritable and less settled than children whose bodies are functioning normally. I think you could say the same for adults. Obviously people with health problems are going to feel better and happier if those problems aren't there. Regardless of whether or not your child has autism, if your child has frequent gut problems then a gluten free diet is a possible solution but only when recommended by a nutritionist or naturopath and monitored carefully by a doctor. So, if it's going to make our guts healthy and possibly make us all thinner, why shouldn't we all go gluten free? As it turns out, gluten free diets are not necessarily healthier and studies show that many gluten-free diets are deficient in fiber, iron, folate, niacin, thiamine, calcium, vitamin B12, phosphorus and zinc. I can attest to this because when I was on a self-imposed restricted diet years ago, I had great difficulty finding foods which satisfied the rules of the diet but didn't trip my taste or texture sensitivities. Sensitivities which are very common in children with autism. Eventually I settled on only a few options, one of which was unseasoned steak and the other was potato chips (crisps). I lost a lot of weight but I really don't think that I was "healthy" while on the diet. At the moment, since there aren't so many gluten free alternatives for desserts and junk food, weight loss is common when eating a gluten free diet. It's not about eating gluten free though - it's simply about eating less junk. 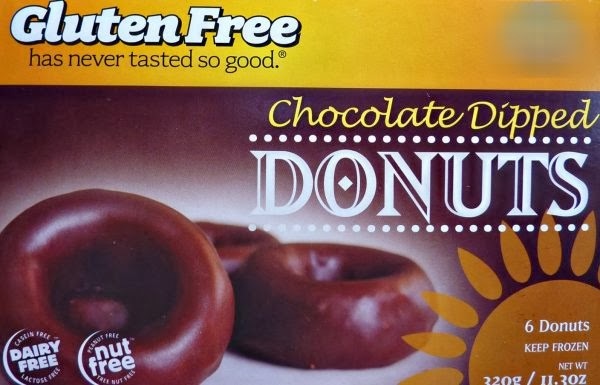 Make no mistakes though, in labs around the world, junk food outlets are hurriedly experimenting to find ways to add gluten free alternatives to their sugar-infested product line ups. It's seen by fast food outlets as "the latest craze". Gluten free junk is coming and when it finally arrives in force, the "diet" will no longer have any health benefits for those without gut issues. In Australia, we have an outlet called Hungry Jacks (similar to Burger King). They brought out a Veggie Burger which quickly became a favorite with people on a diet.A few years later, when our government brought in rules about mandatory health statements on all food, it became clear that it had easily the most kilojoules of any food on their menu. That's right, while it sounded healthy, it was actually the least healthy item you could buy. 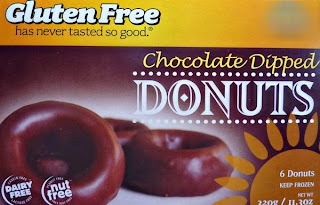 that this is a chocolate doughnut and that it's "gluten free", so it must be healthy by definition. When gluten free alternatives finally hit the fast food joints, they'll have to find something else to provide the spongy effect in burgers and doughnuts. In all probability, whatever they find will be far worse than gluten. Gluten free is a great option for people with gut intolerance but it is NOT the cure for autism. For parents who has kids with aspergers syndrome, patience is the key to keep you going. Proper care and monitoring is therefore suggested. Kids with these problems are those that need more attention, love and care. One technique that could help parents alleviate these disorder are the so-called cognitive behavioral therapy, which helps people understand and modify certain automatic, negative thoughts that can affect their emotions and behavior. I don`t know a lot about gluten and this post help me find out something new. Great post! Thank you for clearly explaining what exactly a GFCF diet is, and accurately stating that its helpful for individuals with true medical issues (like gluten sensitivities) but it isnt the Autism "cure" that some people claim it is. My son was recently diagnosed with Aspergers and has been in the care of a psychiatrist since he was 4 for a mood disorder. I have Graves disease and have been on a gluten free/dairy free diet for 4 months and my symptoms have improved greatly. My son is lactose intolerant, so he does not eat dairy. I tried GF diet on him for a few weeks years ago and saw no improvement. I am wondering if I should have him go GF again to see if it helps. Also, I hear it's the pesticides and GMOs that may be causing us all issues with the wheat and not so much the gluten. Is the apparent rapid rise in autism the result of better testing, or of more toxins in our air, water and food. Maybe both, but we need to clean our air and water, and get ride of chemical pesticides and herbicides. And, how about mercury in the air all over the world, from coal-fired electric generating plants. THAT's scary. First of all, thanks a lot for your blog, keep going ! I just wanted to bounce on the gut thing, since scientists have discovered that we kinda have a "second brain" in the digestive system (well, as many neurons as a Labrador basically) but must of all, they noticed that more than 90% of the whole serotonin (and much of GABA) was produced by the digestive system. By experience i've noticed that most depressed people had a lot of guts issues, but the question remains in which came first ? defective neurons that produce less serotonin therefore guts issues, or the opposite. I've struggled a lot with depression and got my asperger diagnosed a few months ago (i'm 25 btw). I did notice that my eating patterns and what i ate had a huge direct influence on how I felt. Like in anything, the anwser is often in the middle, a part coming from the neurons and a part coming from alimentation. The now better look into autism numbers of chinese persons will sure help know about the conection of polution and autism.